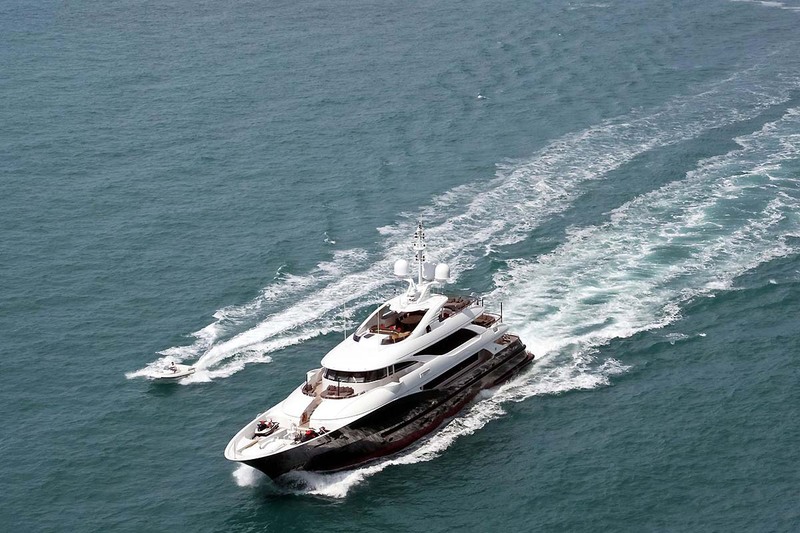 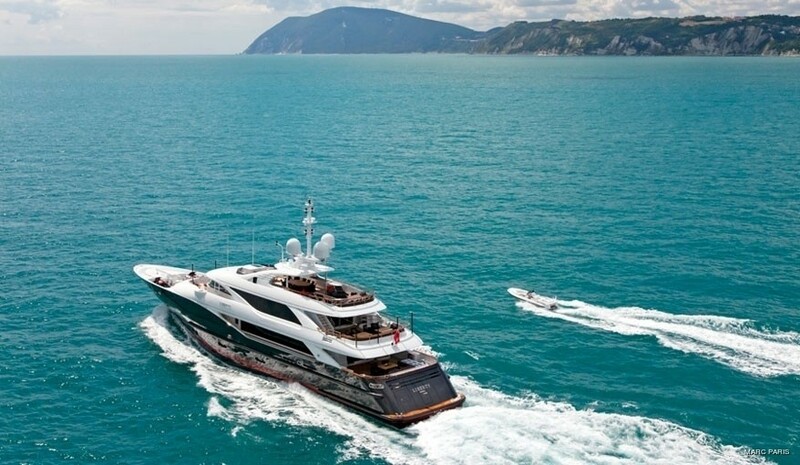 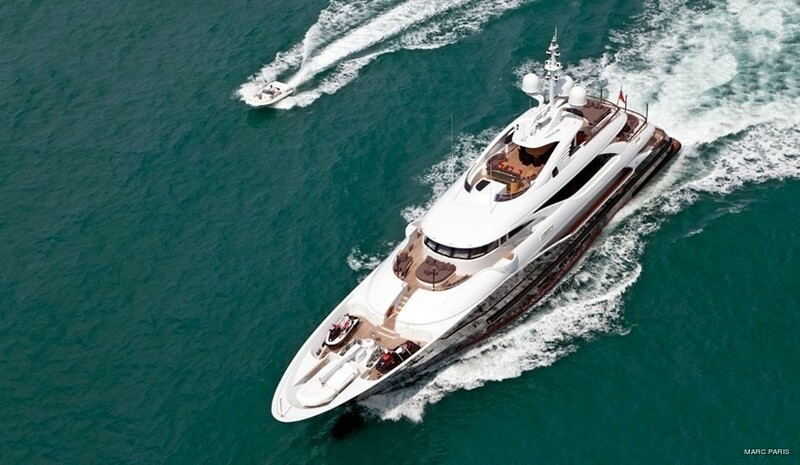 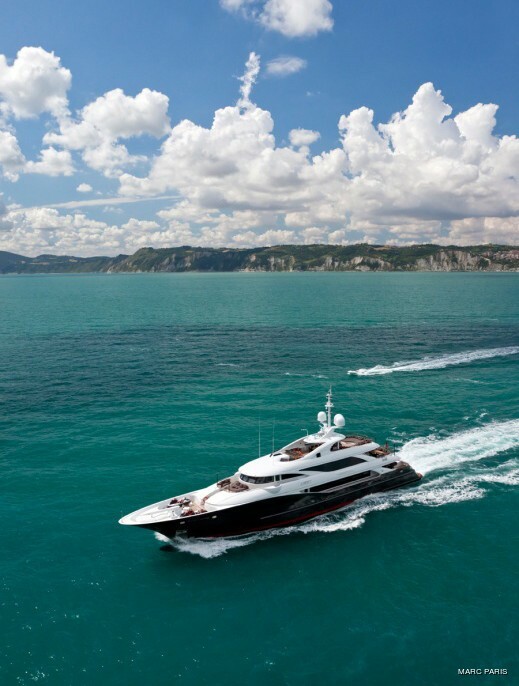 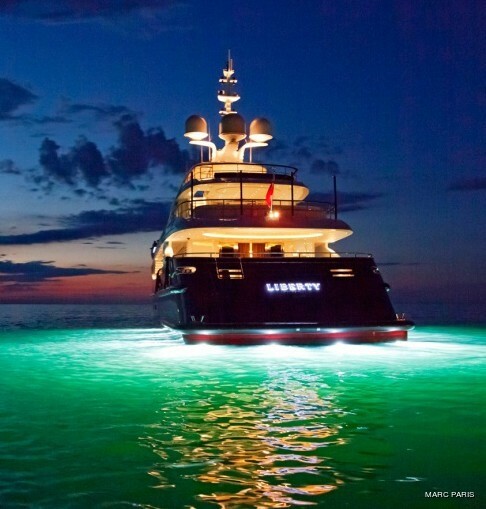 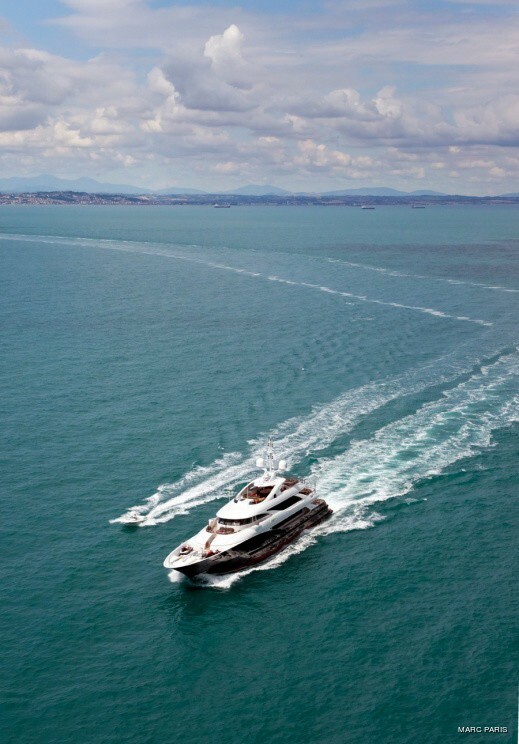 Motor Yacht LIBERTY is a 50m (164 ft) long vessel launched by ISA (International Shipyards Ancona) in March 2011. 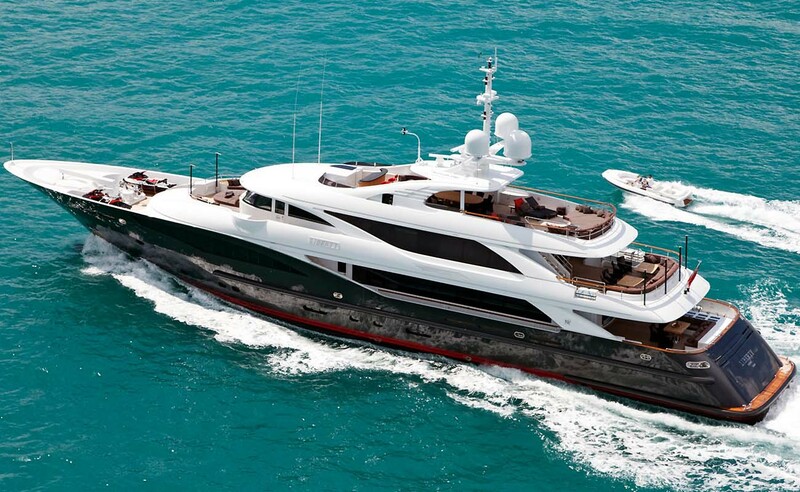 Liberty yacht (hull 500.01) is the first in their custom made series of 50 m ISA superyachts. 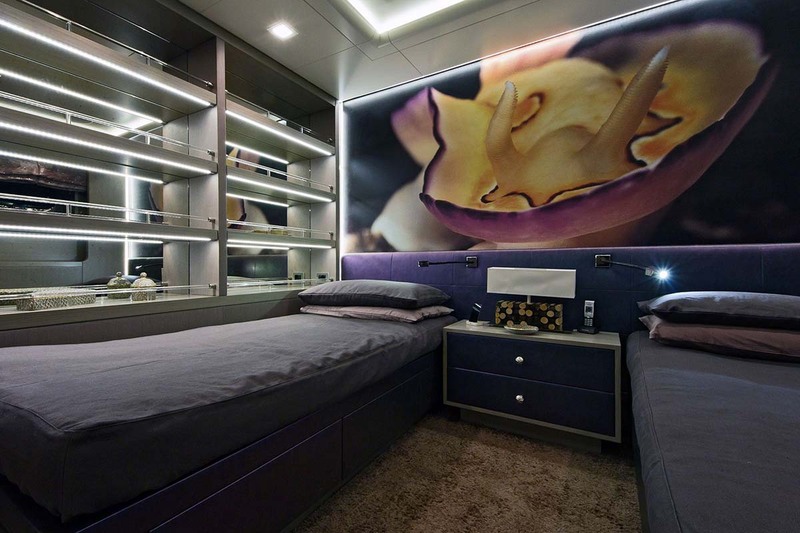 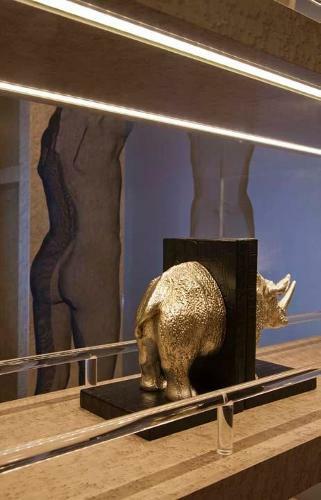 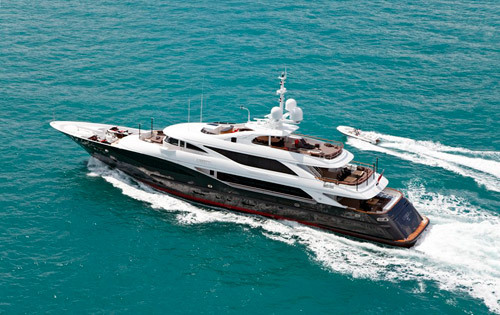 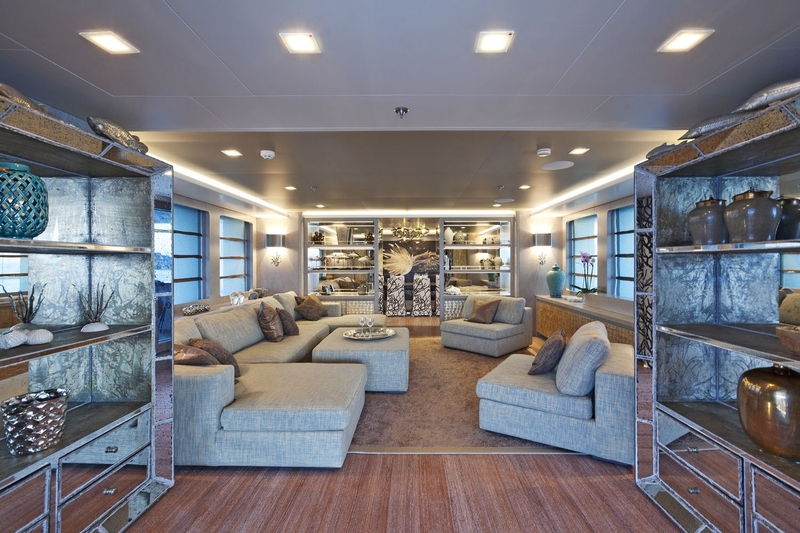 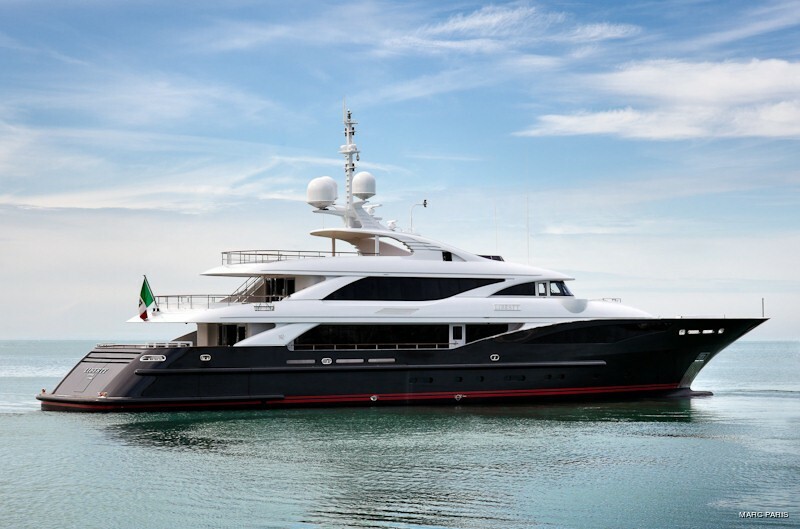 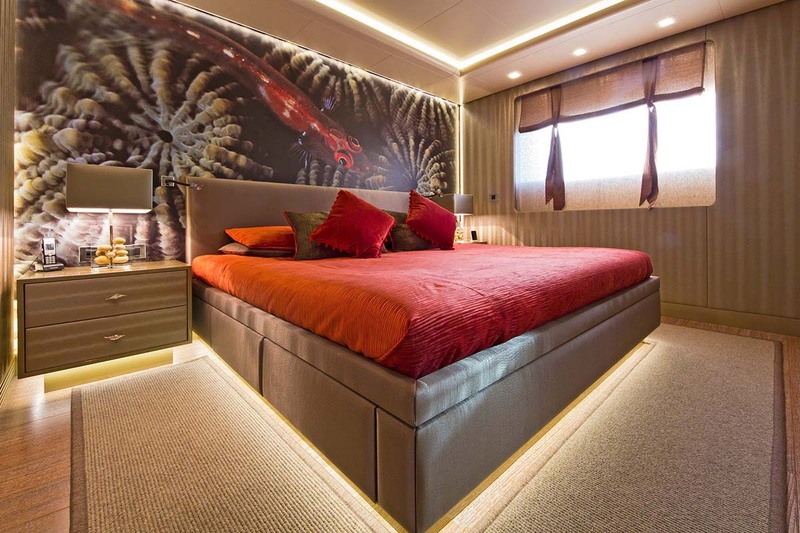 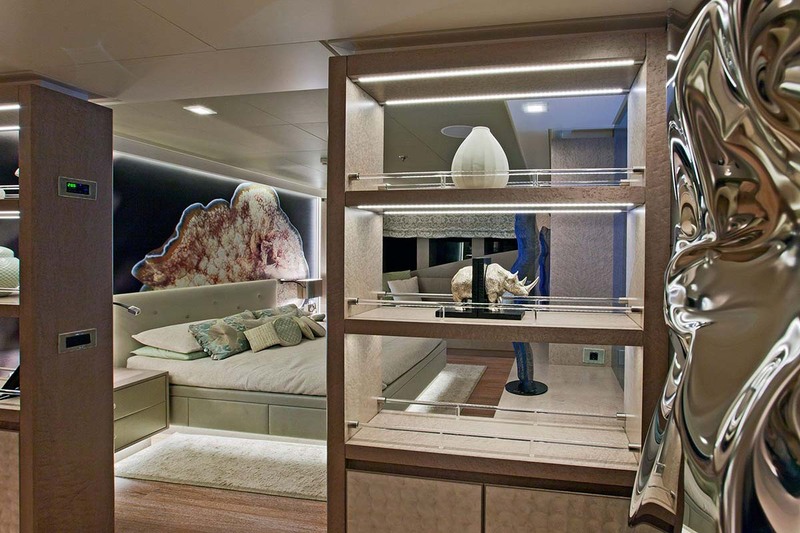 Superyacht Liberty features design by ISA's in-houses design studio and technical team, as well as Andrea Vallicelli. 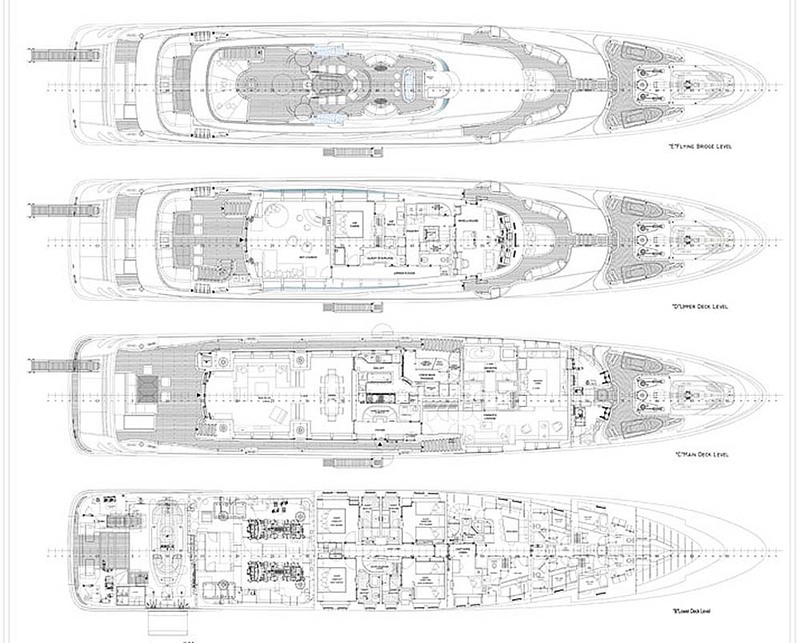 She is a displacement yacht with a steel hull and an aluminium superstructure, composed of a sun-deck, main-deck, and lower deck. 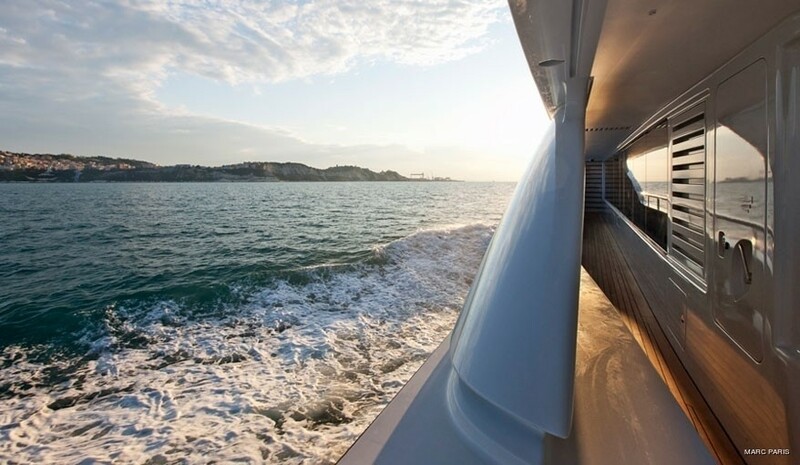 Elegant exterior lines, offering smooth outline strengthened by the forward sloping windows grant a sense of movement even when Liberty is at rest. 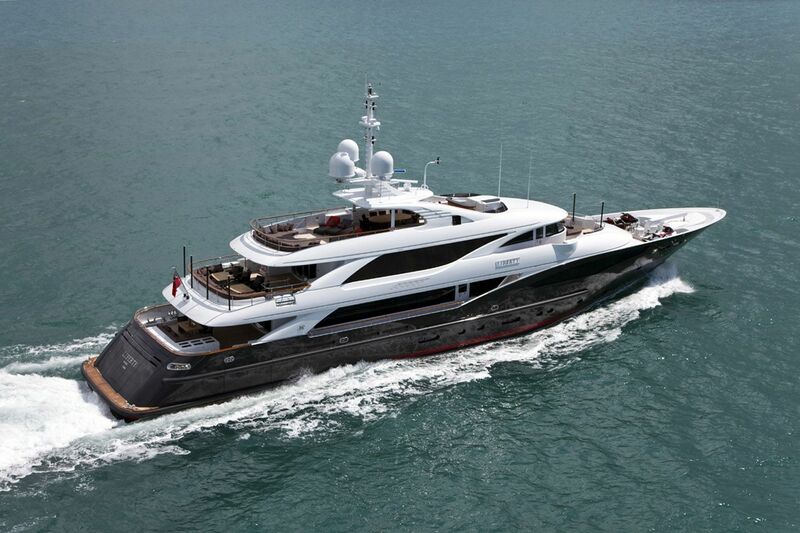 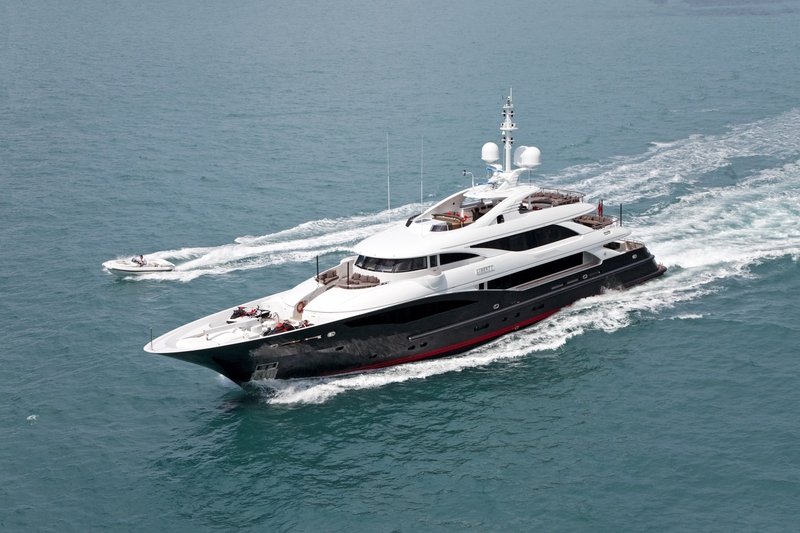 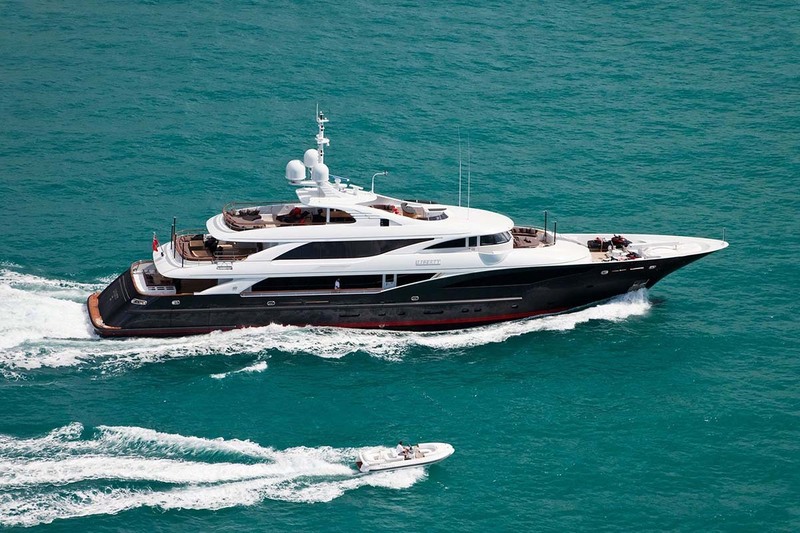 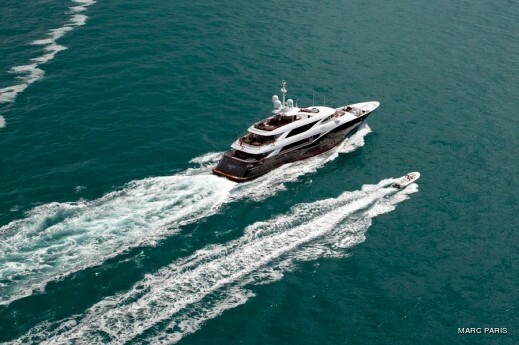 She features a dramatic dark grey metallic hull, contrasting with a brilliant white superstructure. 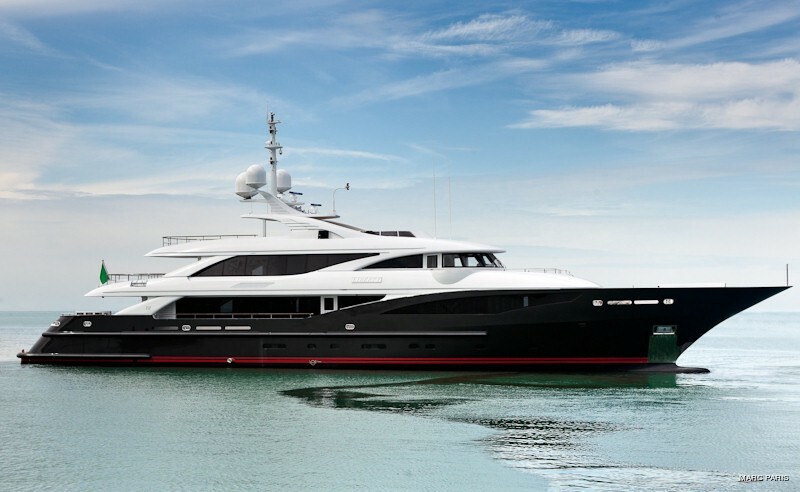 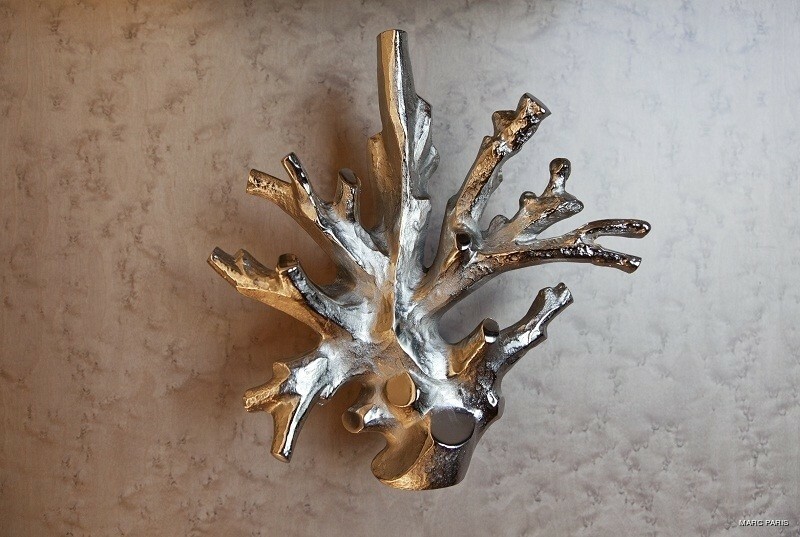 She conveys a sense of power and sophistication that is echoed in every aspect of her design. 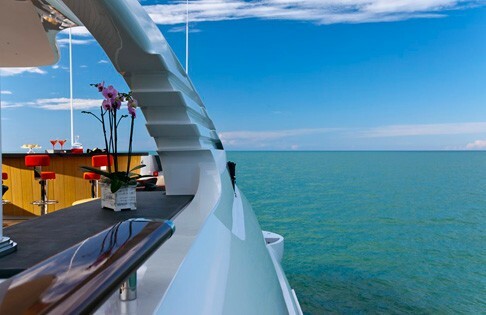 Inspired by the ocean, her unique décor is striking yet comfortable and immediately welcoming, while her well-appointed, spacious deck areas are designed for maximum flexibility, adaptable to every situation from private sunbathing to elegant cocktail parties. 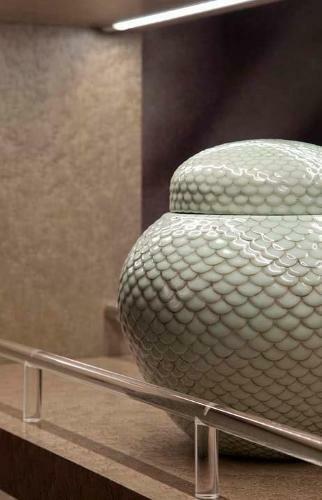 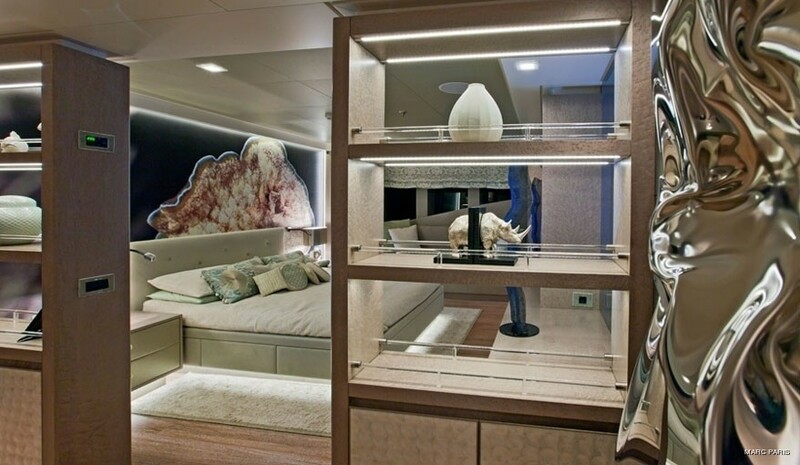 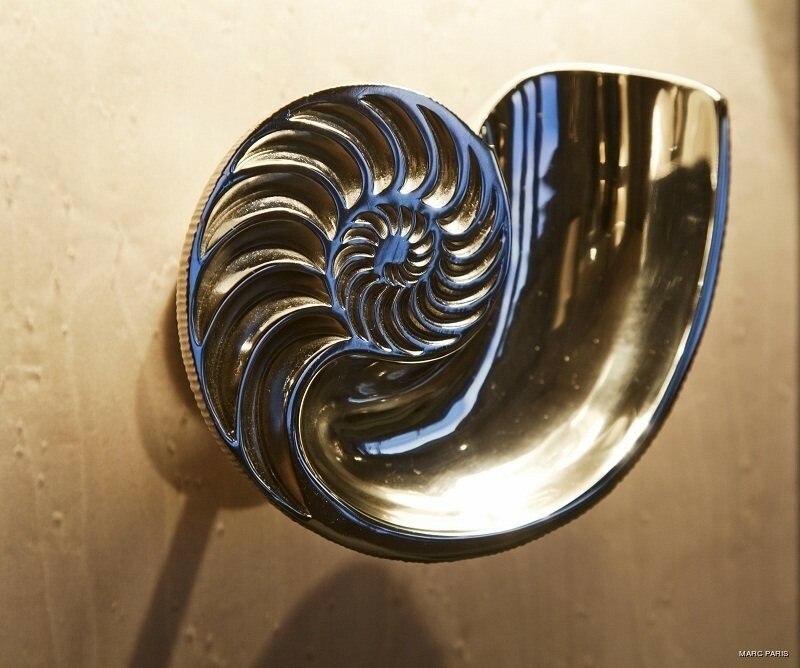 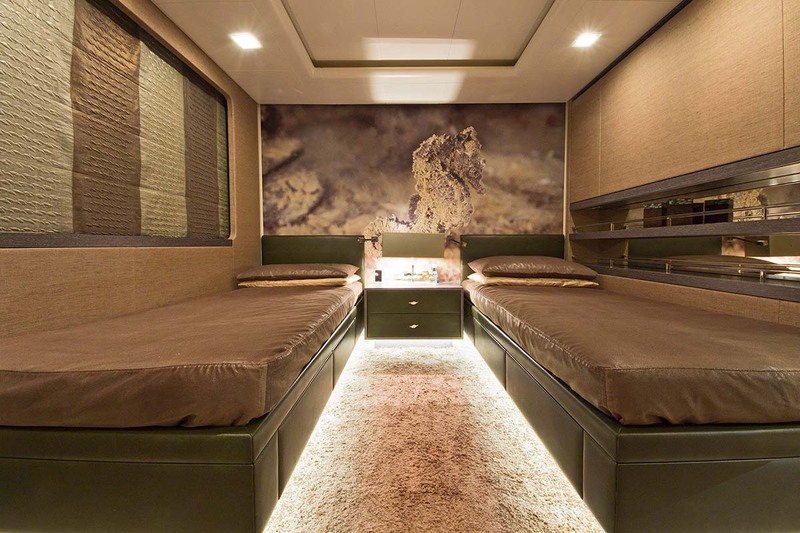 Inspired by the ocean, the luxurious staterooms each reflect a different theme, based on a variety of sea creatures: tortoise, seahorse, shark, nautilus, shrimp, starfish and coral. 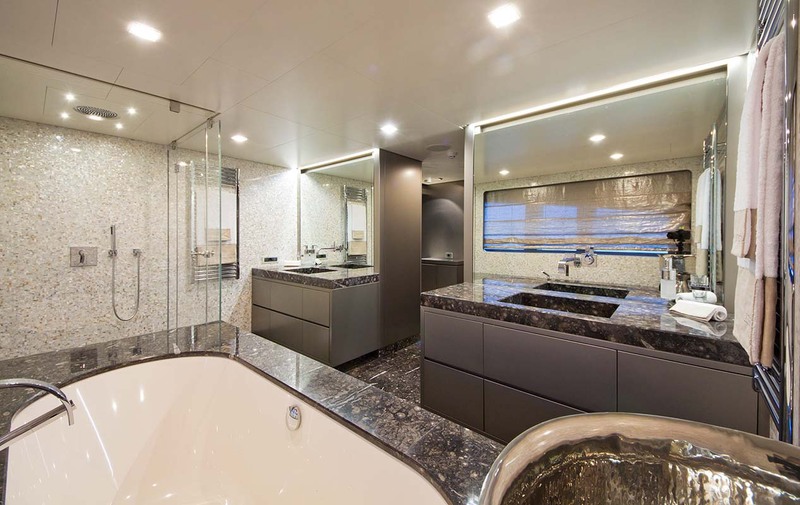 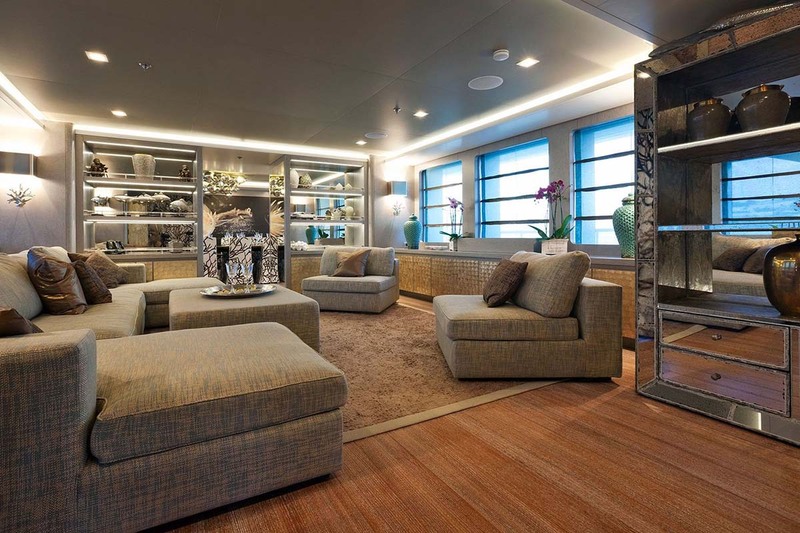 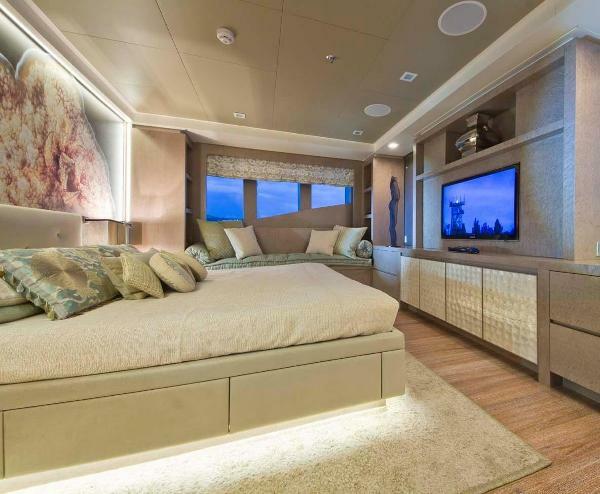 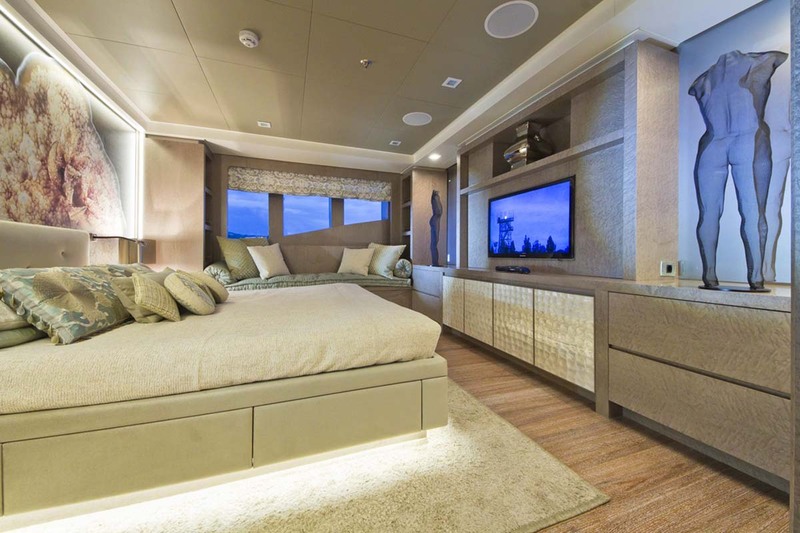 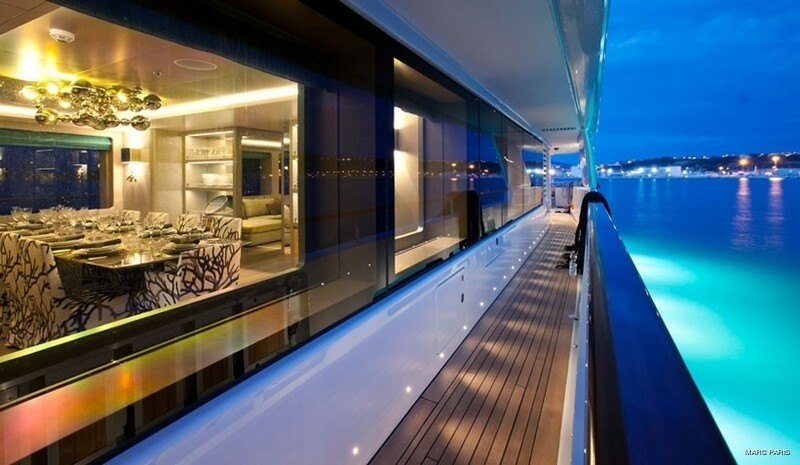 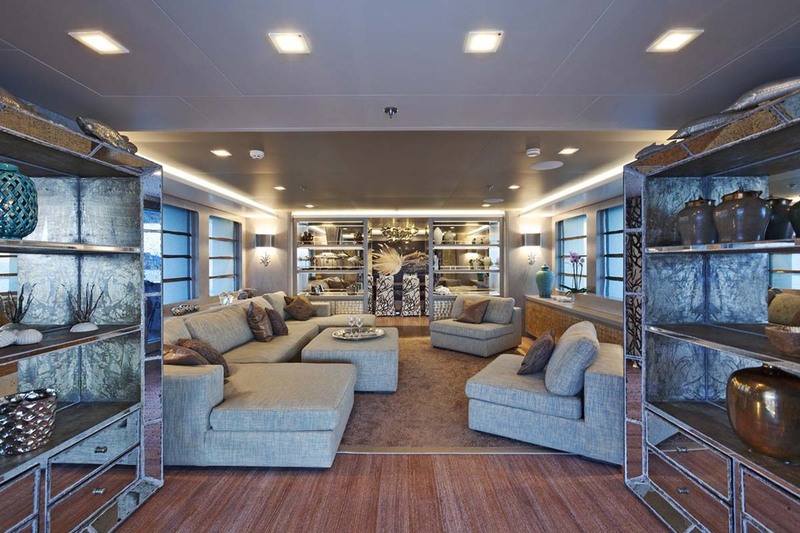 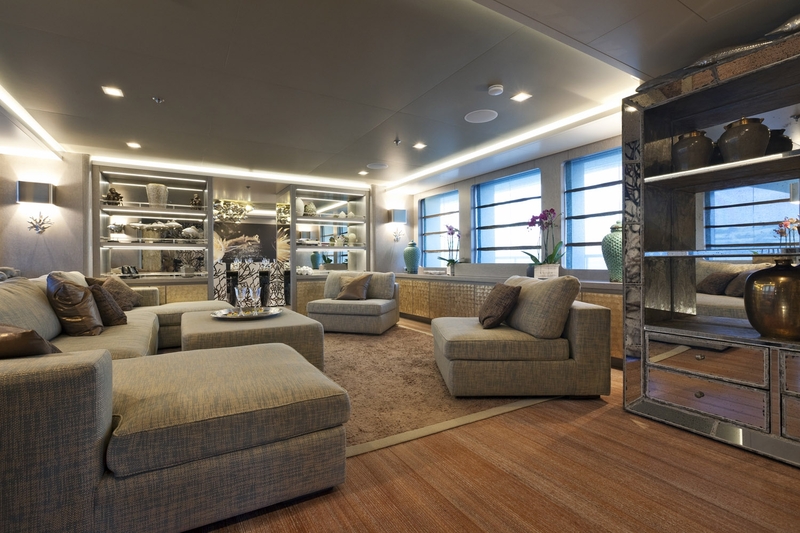 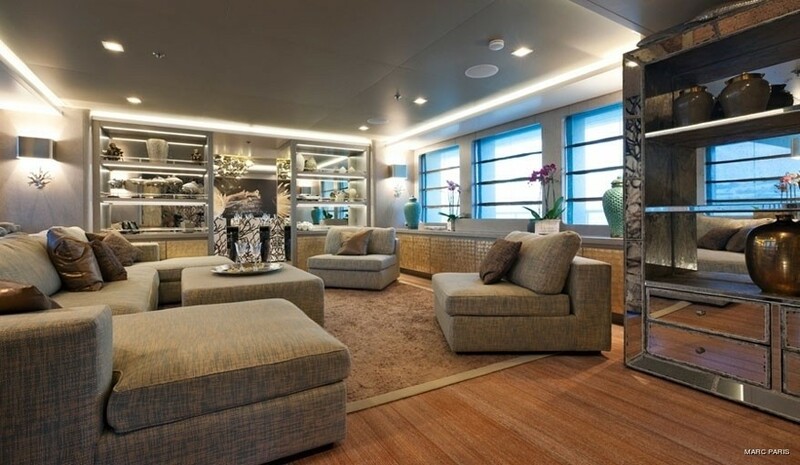 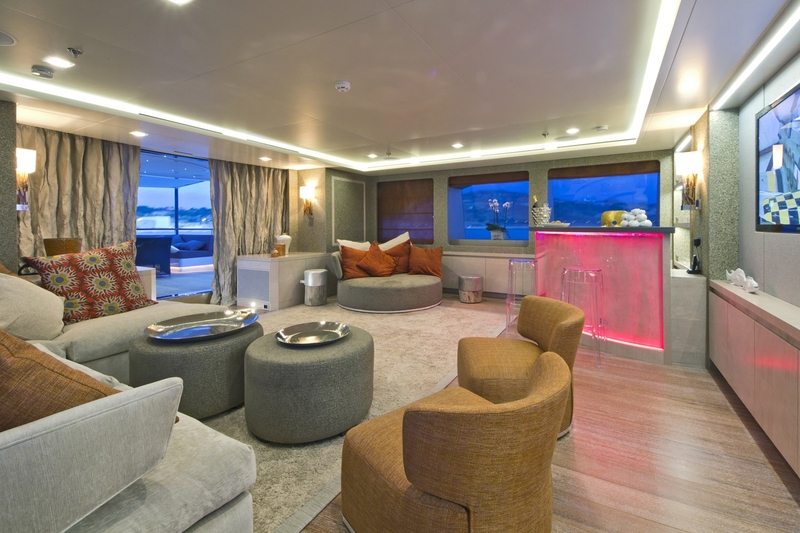 The main deck of motor yacht LIBERTY has large corridors with the main saloon encircled by a continuous panoramic window that opens through the wide sliding doors to the main deck aft. 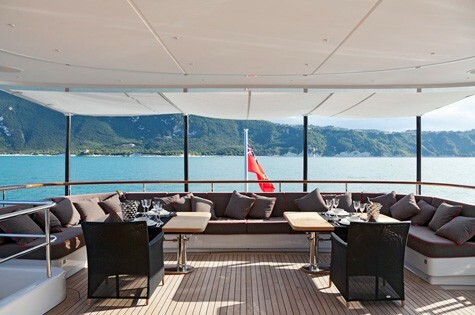 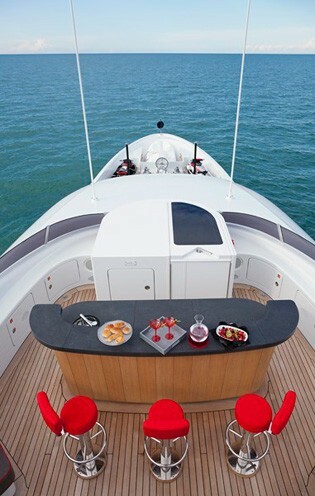 Liberty's vast sundeck has a sunbathing area and bar plus a comfortable sitting area aft with a number of chais-longues. 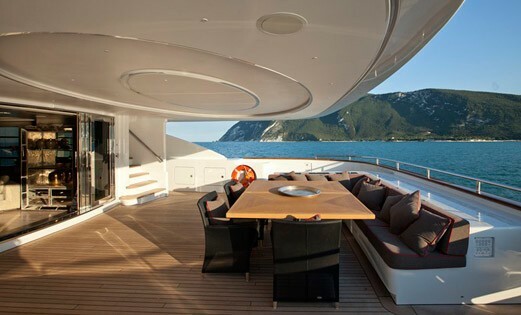 The central dining table is located under the mast with structural sunshade. 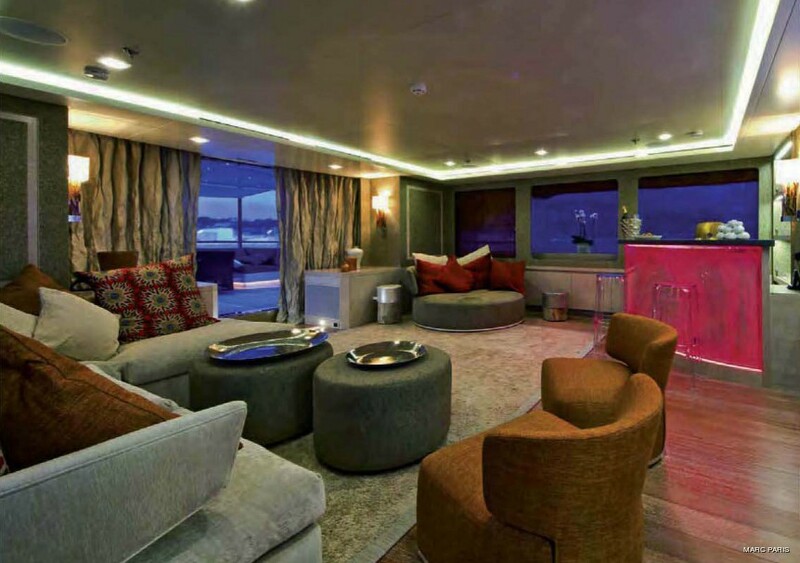 The upper deck forward of the wheelhouse is linked to the main deck and by a small stairway and is furnished with two sofas, a great area for guests to enjoy the view while underway. 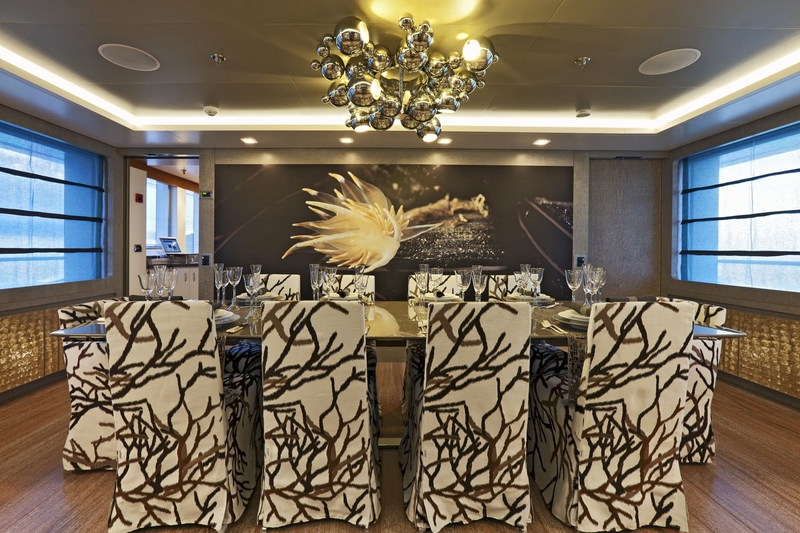 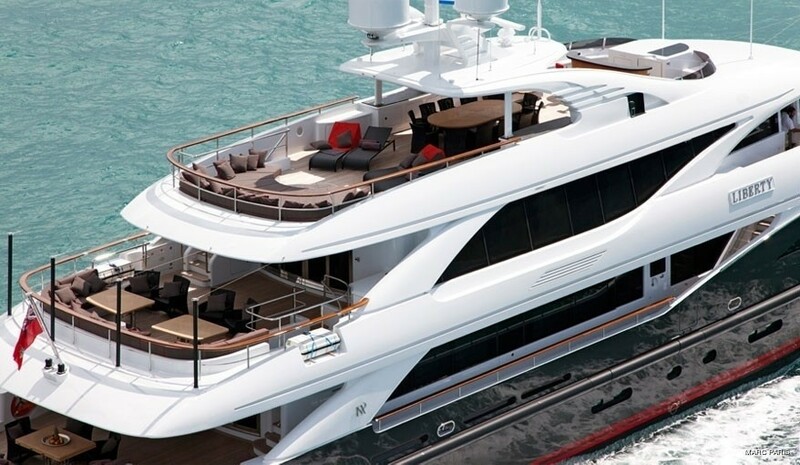 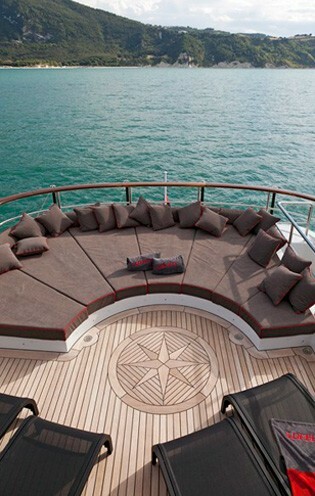 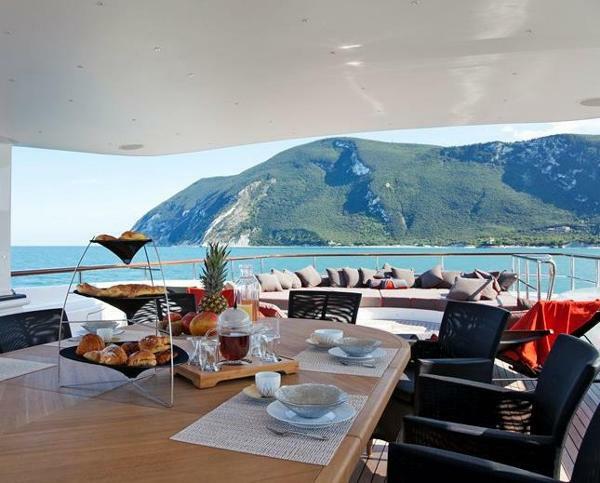 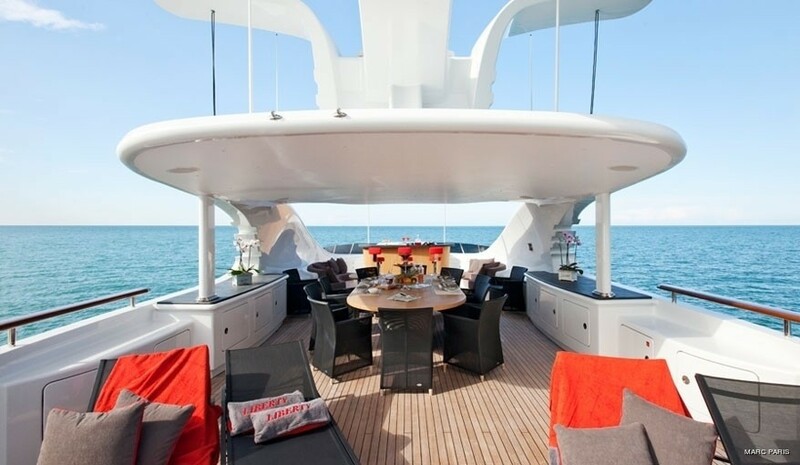 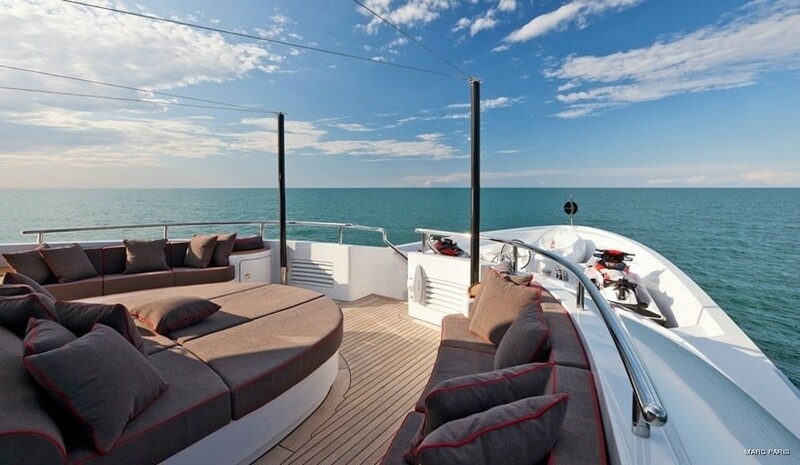 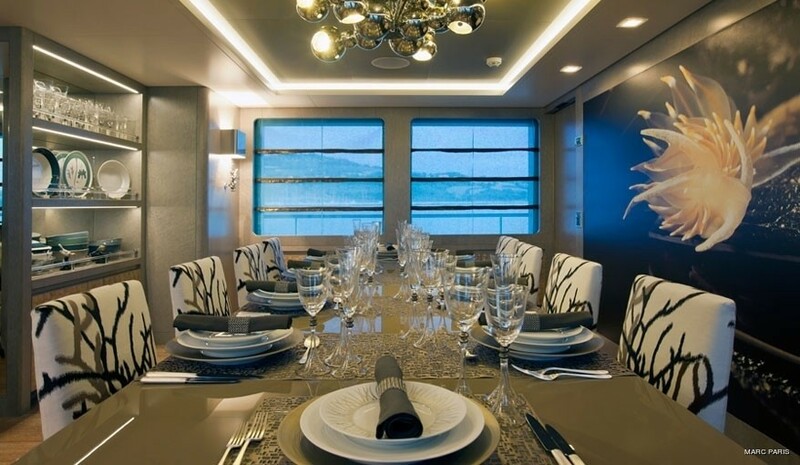 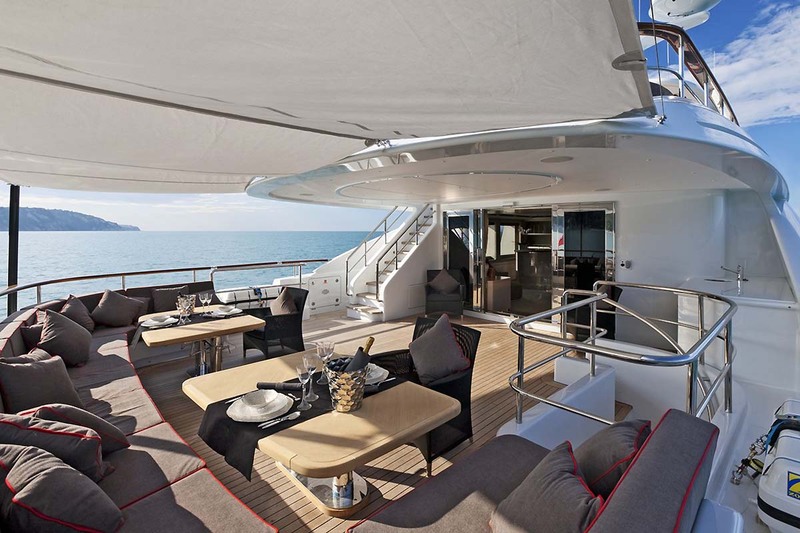 Her upper deck aft, as well as her main deck aft, provides al fresco dining opportunities. 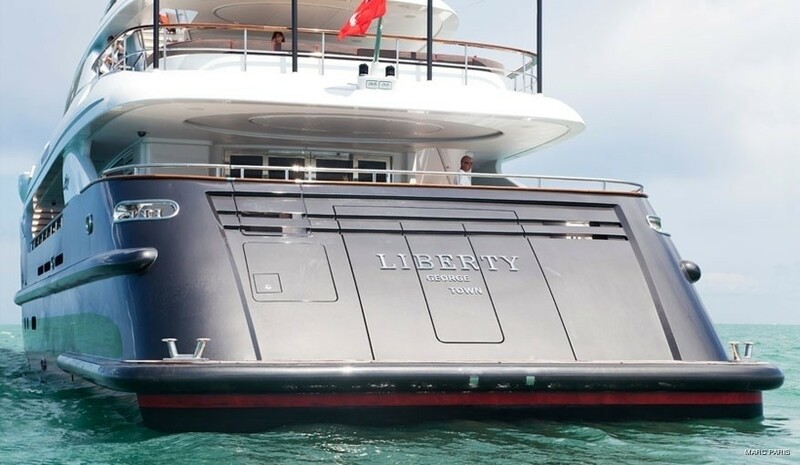 SuperYacht LIBERTY’s transom has no staircase, however, the wide aft door opens, giving access to the “beach room” and creating a multi purpose area to enjoy using the water sport toys, swimming from the platform or sunbathing with a cocktail in hand. 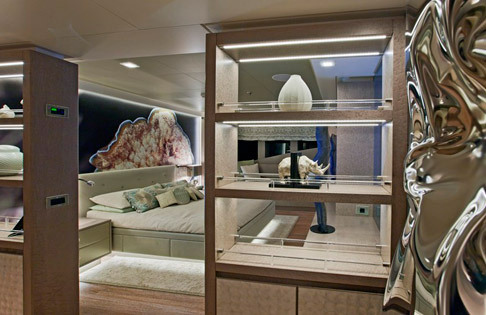 A large guest tender is stored in a garage adjoining “the beach area” and is launched through a door in the side of the hull. 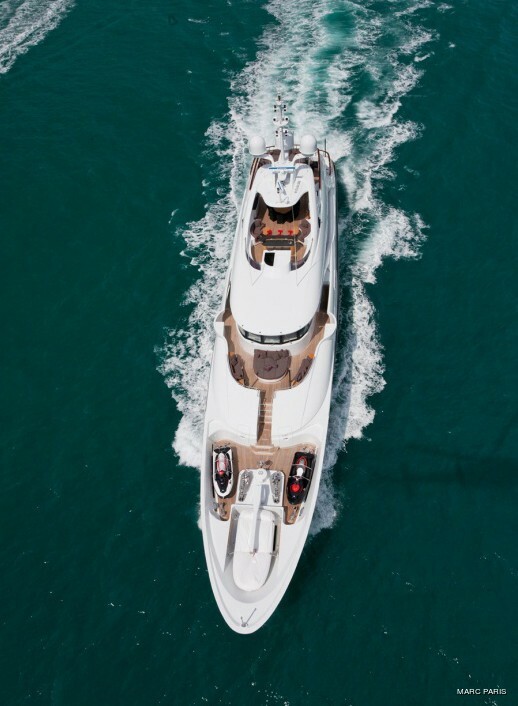 LIBERTY yacht constructed by ISA is propelled by twin MTU 12V4000 M17 engines enabling her to reach a maximum speed of approximately 16.8 knots with a cruising speed of 12 knots. 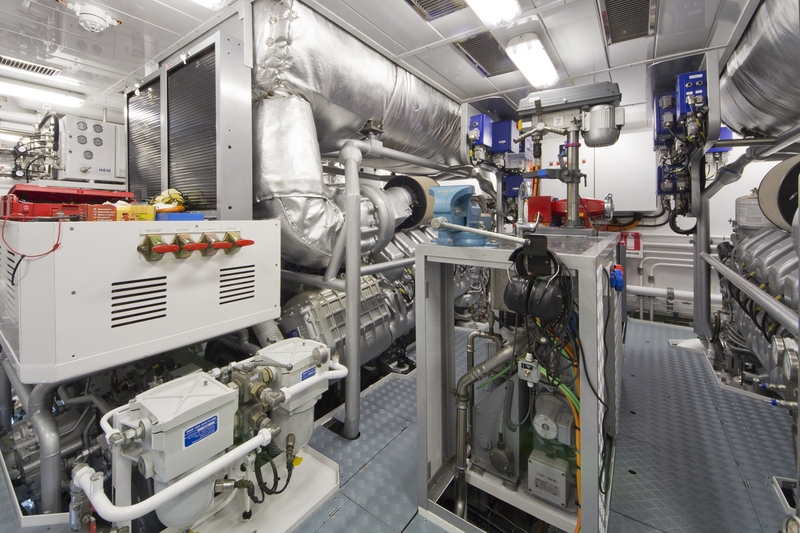 Liberty has a range of 2,200 NM and a fuel capacity of 69,000 litres. 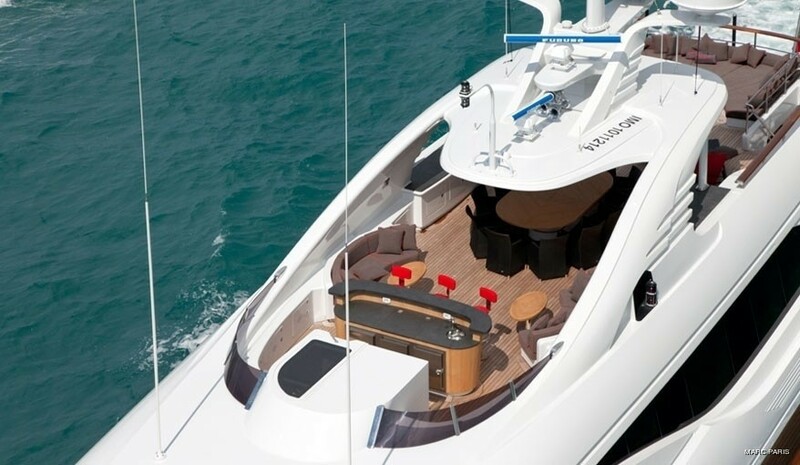 The yacht also features Quantum Zero Speed stabilisers. 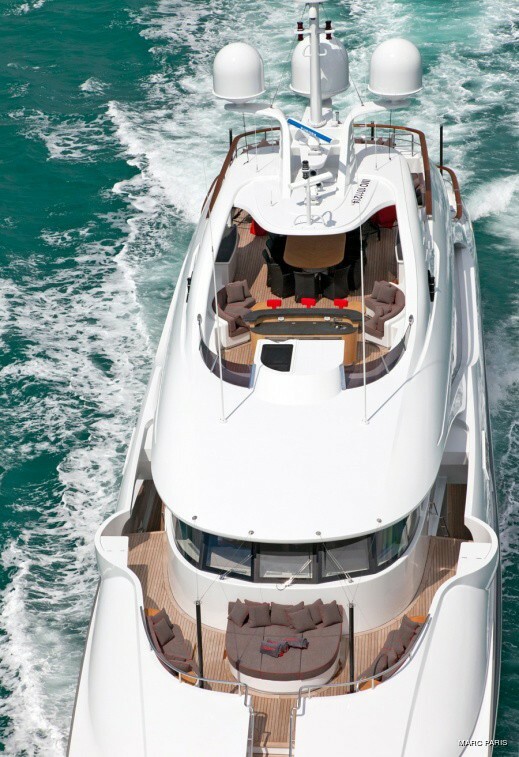 The ISA 500.01 Liberty yacht is both Lloyd’s and MCA classified. 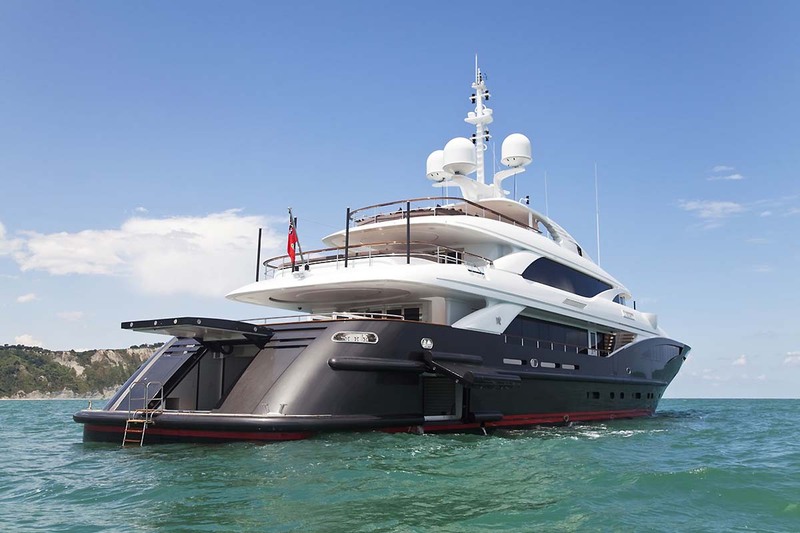 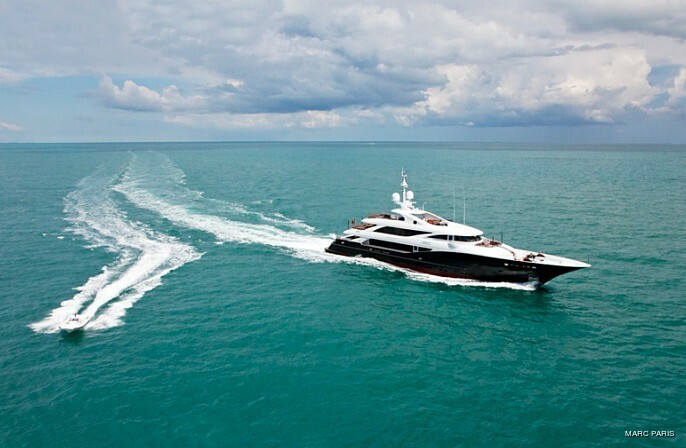 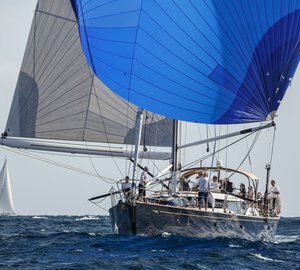 Equipped with the latest in entertainment and communications technology as well as full range of “toys”, she is an exciting addition to the Mediterranean charter fleet.